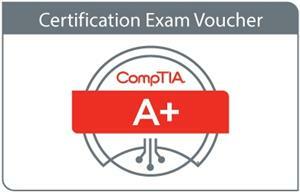 Two exams are necessary for CompTIA A certification: A+ Certification Exam 220-901 and 220-902. You must take (and pass) exams from the same series, i.e., either 801 and 802 OR 901 and 902. Pearson VUE will not support or recognize mixing and matching between different series. CompTIA A+ 220-901 cover PC hardware and peripherals, mobile device hardware, networking and troubleshooting hardware and network connectivity issues.